Throughout the history of Major League Baseball, one feat that has proven especially difficult and elusive is winning the batting Triple Crown. A player wins the Triple Crown (an unofficial honor for which no actual award is given) by leading his league in the three major batting categories in the same season: batting average, home runs, and runs batted in. Although more precise statistics have been developed to measure a player’s worth, leading the league in these three categories leaves no doubt about the player’s exceptional, well-rounded batting skills. 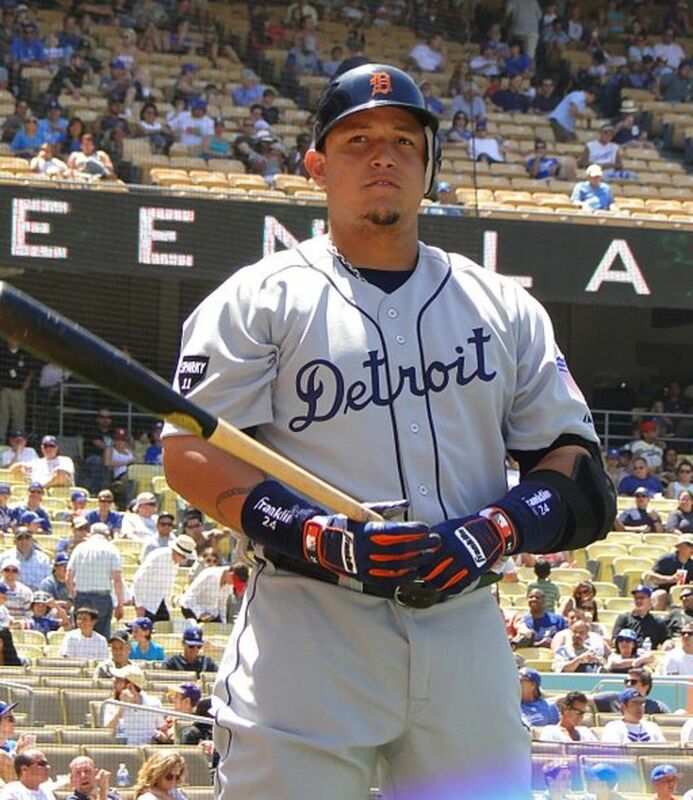 In 2012, Detroit Tigers All-Star Miguel Cabrera won the American League Triple Crown, the first player to win the crown in either league in 45 years. Since the beginning of the major leagues with the first National League season in 1876, only 14 players, including Cabrera, have won baseball’s batting Triple Crown. (Some sources have also included Hugh Duffy and/or Heinie Zimmerman as National League Triple Crown winners for their 1894 and 1912 seasons, respectively, but in both cases research has shown their reported RBI totals to be incorrect.) Two players, Rogers Hornsby and Ted Williams, won the crown twice, resulting in a grand total of only 16 Triple Crown seasons out of some 275 major league seasons (including four short-lived defunct major leagues) played over 143 years. Bold type indicates Major League leader. Ties: Joe Medwick shared the 1937 NL home run crown with Mel Ott; in 1967, Carl Yastrzemski and Harmon Killebrew each hit 44 home runs in the AL to lead the major leagues. The 13 Triple Crown winners before Miguel Cabrera all had solid careers, and their names appear in various lists of the best players in baseball history. Among them, they won multiple MVP awards and were selected to numerous All-Star teams. All 11 winners in the 20th century were elected to the Baseball Hall of Fame. Cabrera's career so far is comparable to the best. 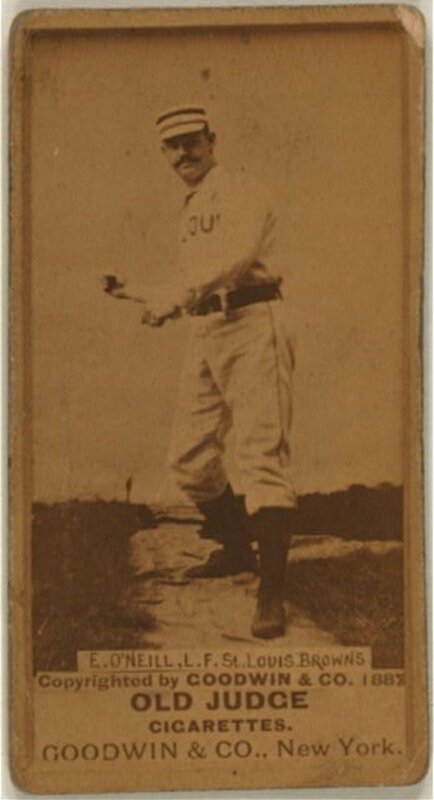 In his 1878 Triple Crown season, Paul Hines of the Providence Grays also led the National League in home run percentage, slugging average, and total bases. He again led the league in batting in 1879, with a .357 average, and is ranked by Bill James as the best player in baseball in both years. 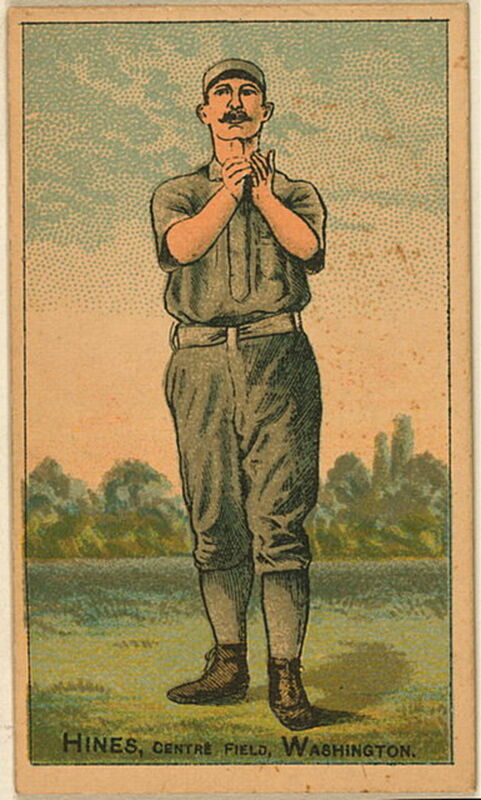 One of the two Triple Crown winners who are not in the Hall of Fame, Hines played in the major leagues for 16 years (1876 – 1891), primarily as a center fielder, and compiled a lifetime .301 batting average. According to some reports, he was also the first player to turn an unassisted triple play. 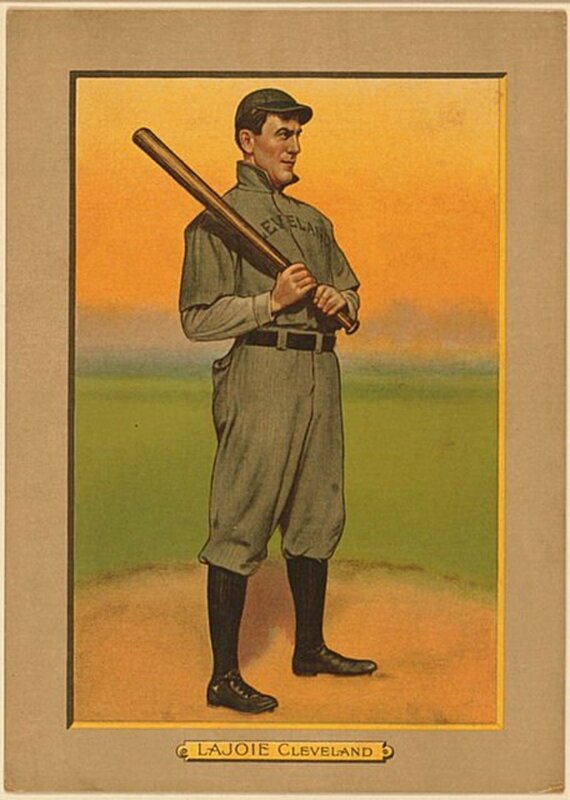 The only other Triple Crown winner not in the Hall of Fame, Tip O’Neill played in three major leagues over ten seasons from 1883 to 1892. In his spectacular 1887 Triple Crown season for the St. Louis Browns of the American Association, the left fielder also led the league in hits, doubles, triples, total bases, slugging average, runs, and on base percentage. No other player has led his league in all three types of extra base hits—doubles, triples, and home runs—in a single season. But O’Neill never led the league in any of these categories again. 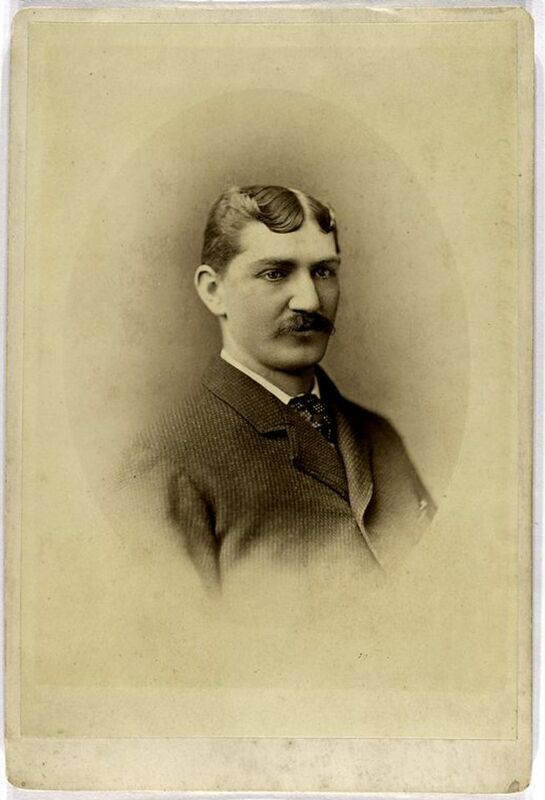 He did win the batting title again in 1888, with an average 100 points lower than his 1887 average at .335. His lifetime batting average is .326, good for 39th all-time. After 5 seasons with the Philadelphia Phillies in the National League, second baseman Nap Lajoie moved to the Philadelphia Athletics in the new American League in 1901 and promptly won the Triple Crown with his new team. He also led the major leagues that season in hits, doubles, slugging average, total bases, and runs scored. In his 21-year baseball career, Lajoie hit over .300 in 16 seasons, including 10 seasons better than .350, and won four more batting titles. His .426 average when he won the Triple Crown in the American League's first season remains an American League record, and his lifetime batting average of .338 puts him 20th on the all-time list. 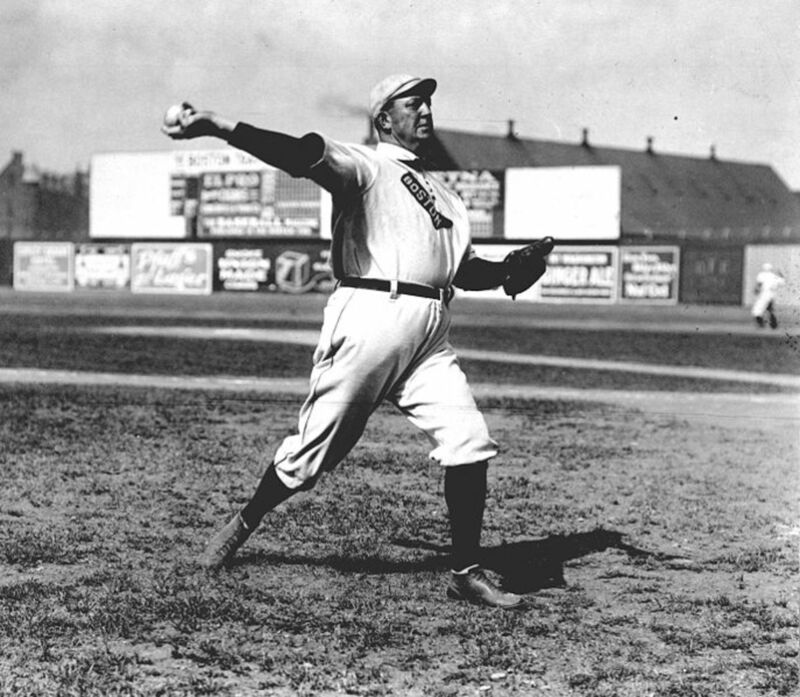 He was the American League's Most Valuable Player in 1911 and 1913 and was elected to the Hall of Fame in 1937. 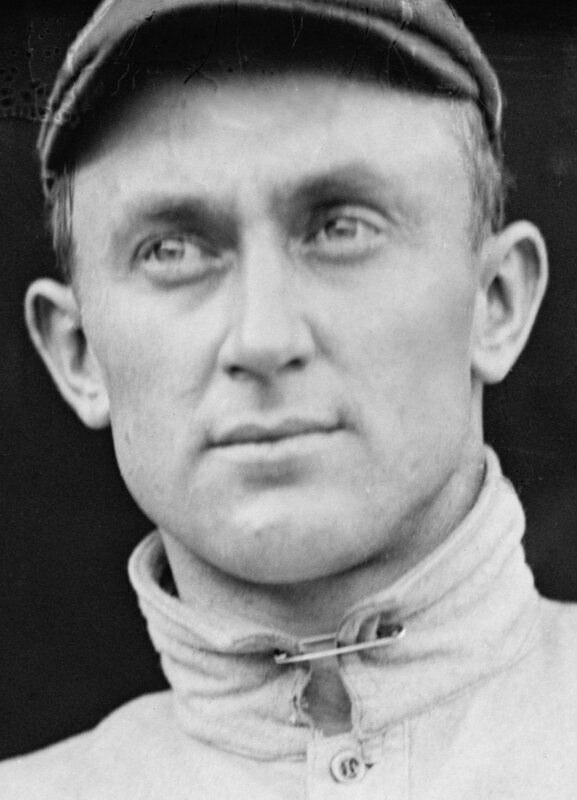 In 1909, center fielder Ty Cobb not only won the American League and major league Triple Crowns but also led the majors in hits, home run percentage, slugging average, and total bases, and he led the American League in runs scored. Cobb also led the majors with 76 stolen bases — the only Triple Crown winner ever to also lead his league in that category. Cobb's Detroit Tigers finished 1st in the American League but lost the World Series. In Cobb's 24-year Hall of Fame career, including 22 years with the Tigers, he won a record 11 batting titles, hit over .400 three times (including 1922, when he lost the AL batting title to George Sisler despite hitting .401), and hit over .300 in 23 consecutive seasons. Cobb won the American League MVP award in 1911. His .366 career batting average ranks 1st in baseball and is unlikely to be surpassed. 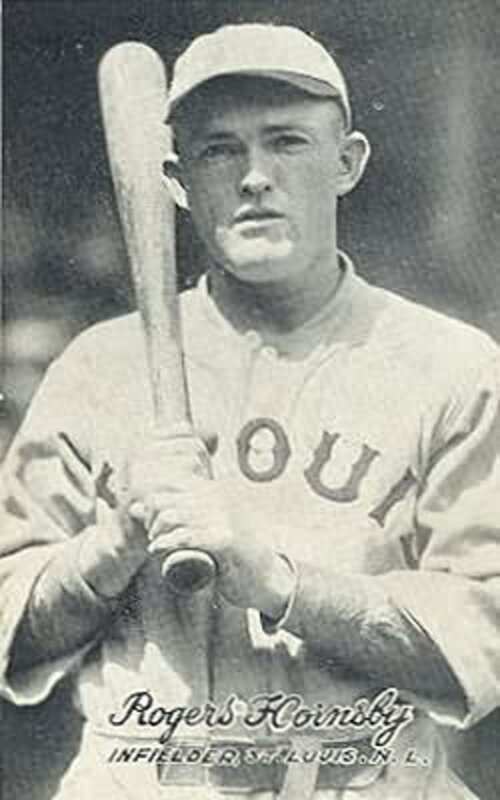 St. Louis Cardinals second baseman Rogers Hornsby is the only player to win the National League Triple Crown twice. In 1922, he also led the majors in hits, runs scored, slugging, and total bases. As a player-manager in 1925, Hornsby won the major league Triple Crown and the National League MVP award. He was named MVP again in 1929. In Hornsby's 23-year Hall of Fame career (1915 – 1937), he won 7 National League batting titles, including 6 consecutive crowns from 1920 to 1925. Among his many other league-leading performances, he led the league in on-base percentage 9 times and in OPS+ (on-base percentage plus slugging, adjusted to the player's ballpark) 12 times. His lifetime .358 batting average is second only to Ty Cobb. Chuck Klein, right fielder for the Philadelphia Phillies, won the National League Triple Crown in 1933. His .368 batting average was tops in the majors, as were his 223 hits, and he also led the National League in doubles, slugging average, and total bases. 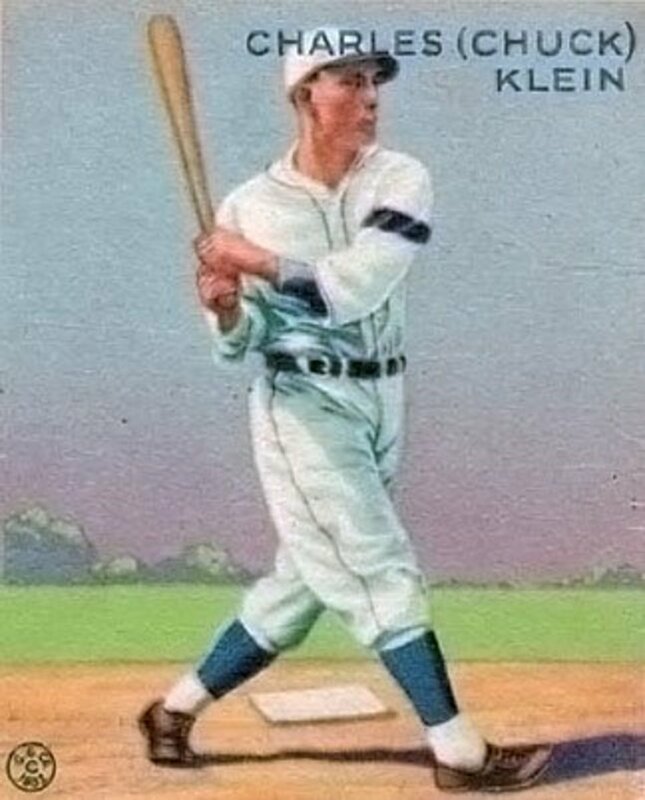 Klein won the National League MVP Award in 1932 and was a 2-time All-Star (1933 and 1934). He retired after 17 seasons with a .320 career batting average and 300 home runs. He was elected to the Hall of Fame by the Veterans Committee in 1980. In 1933 both leagues had Triple Crown winners, and both were in Philadelphia. 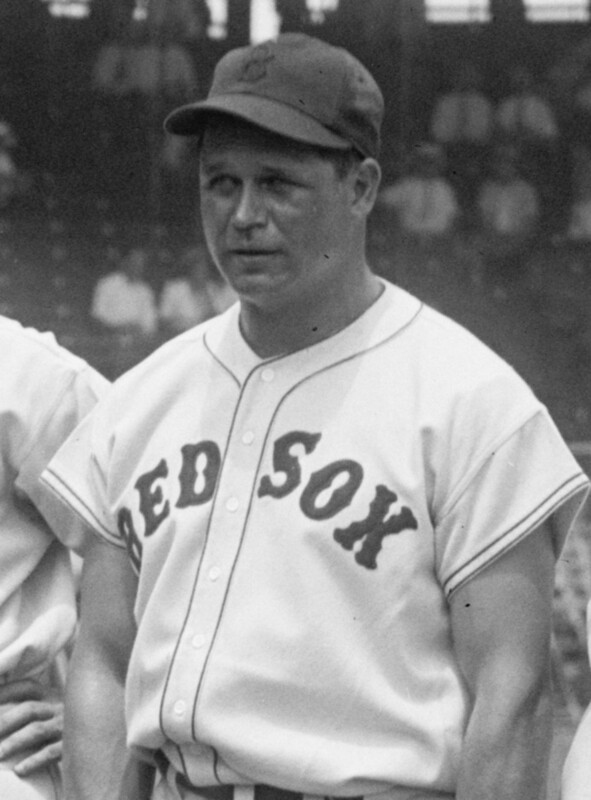 In 1932, Athletics first baseman Jimmie Foxx had narrowly missed the American League Triple Crown, finishing second with a .364 batting average while leading the league with 58 home runs and 169 RBI and winning the MVP award. But in 1933, Foxx won the Triple Crown, leading the league with a .356 batting average and leading the majors in home runs, RBIs, home run percentage, slugging average, and total bases. He was selected for the first-ever All-Star Game and again was named American League MVP. In his 20-year career, Foxx compiled a .325 lifetime batting average (42nd all-time), hit 534 home runs (17th), and drove in 1922 runs (8th). He was selected to 9 consecutive American League All-Star teams, won a total of 3 MVP awards, and was inducted into the Hall of Fame in 1951. The American League had a Triple Crown winner for the second consecutive year in 1934. Lou Gehrig, the Yankees' first baseman, won not only the AL but also the major league Triple Crown, while also leading the majors in home run percentage, slugging average, and total bases. Gehrig played 17 seasons with the Yankees until his career was cut short by illness early in 1939. 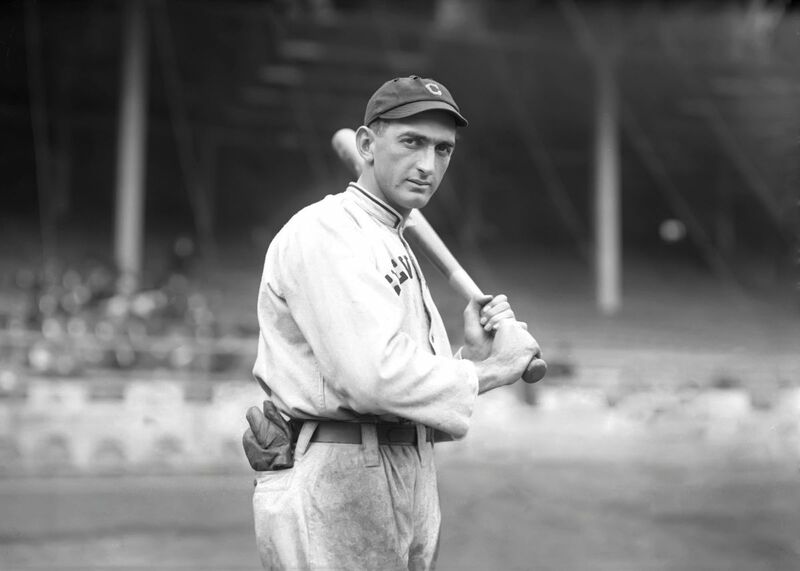 He put together a streak of 2,130 consecutive games played, earning him the nickname "The Iron Horse," and hit over .300 for 12 seasons in a row. 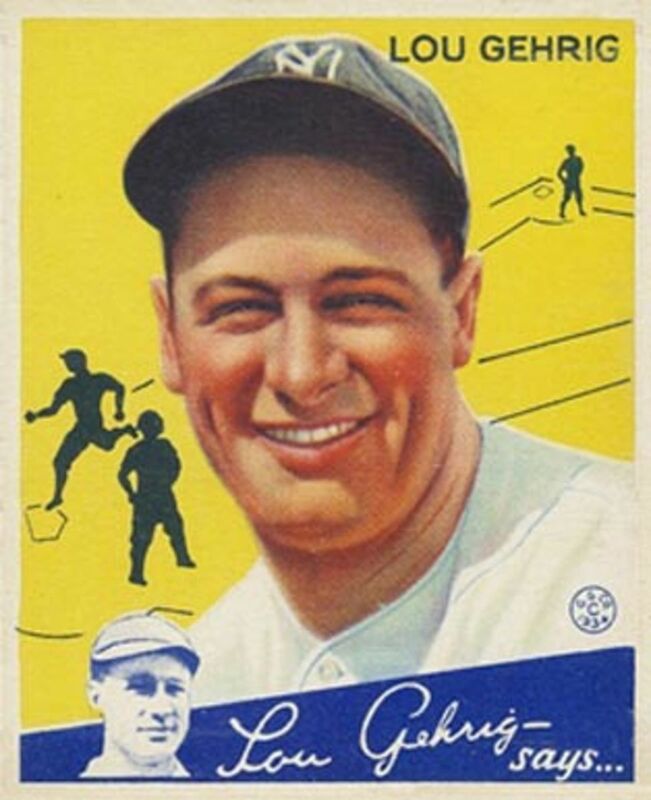 Gehrig won 3 American League home run titles and 5 RBI titles. 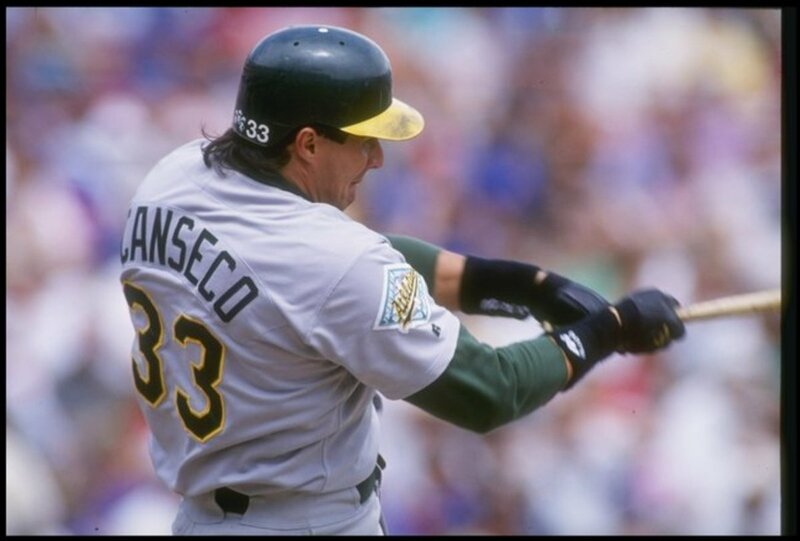 His lifetime totals include a .340 batting average (17th), 493 home runs (tied for 26th), and 1995 RBIs (5th). He was a 2-time MVP and a 7-time All-Star, and was elected to the Hall of Fame in a special election in 1939, the year he retired. Joe "Ducky" Medwick, left fielder for the St. Louis Cardinals, won the 1937 National League Triple Crown — the last Triple Crown to date for the NL. 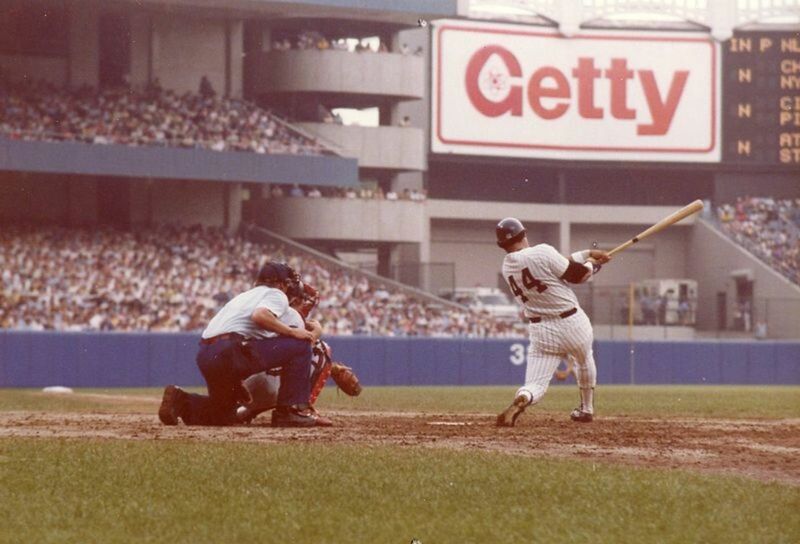 His .374 batting average led the majors, as did his 237 hits and 56 doubles. He also led the National League in runs scored, slugging average, total bases, and several other categories, and was named the league's MVP. In his 17-year career, Medwick played for four teams, all in the National League. He led the National League in runs batted in for three consecutive years and finished with 1383 RBIs (73rd), along with a .324 batting average (47th) and 205 home runs (283rd). Medwick was a 10-time All-Star and entered the Hall of Fame in 1968. 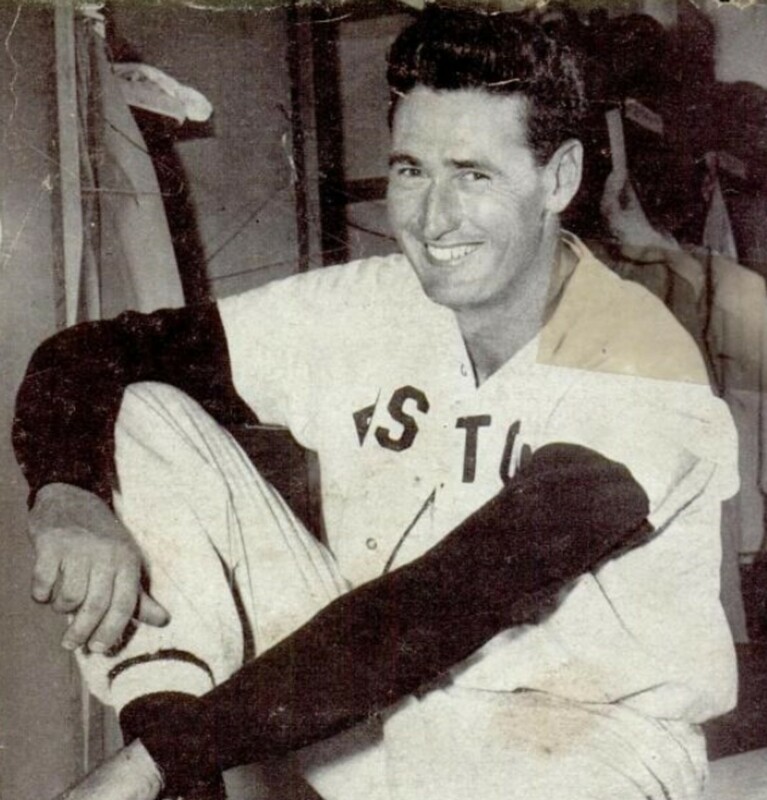 Boston Red Sox left fielder Ted Williams won two American League Triple Crowns, in 1942 and 1947. In his 1942 season, Williams not only won the major league Triple Crown but also led the majors in slugging average, total bases, home run percentage, runs scored, and bases on balls. In 1947, he led the American League in all the same categories. One of the best hitters in baseball history, Williams had a remarkable 19-year career despite missing 3 complete seasons in his prime (1943–1945) to serve in the military during World War II. He won 6 American League batting titles, and his .406 batting average in 1941 marks the last time to date that a major league player has hit over .400. His lifetime stats put him in 8th place in batting average (.344), 13th in RBIs (1839), and tied for 18th in home runs (521). A 17-time All-Star and 2-time MVP, Williams was elected to the Hall of Fame in 1966. Center fielder Mickey Mantle of the New York Yankees led the major leagues in multiple offensive categories when he won the American League Triple Crown in 1956. 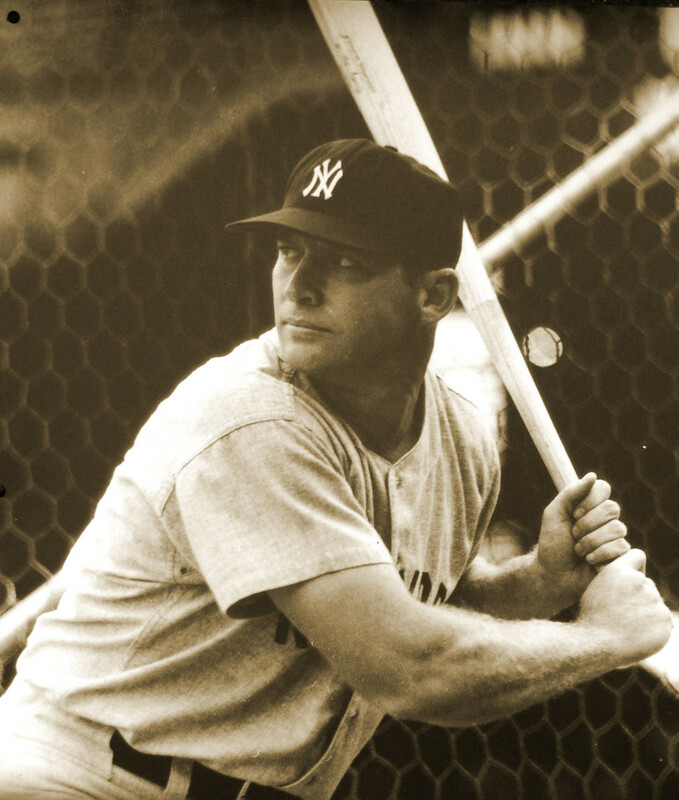 Mantle was selected as the American League MVP as he led the Yankees to the World Series title — the first time that a Triple Crown winner's team won it all. Mantle played for the Yankees for his entire 18-year career. Despite many injuries, he helped the Yankees win 12 American League pennants and 7 World Series championships. He hit over .300 in 10 seasons and won 4 AL home run crowns. He was an All-Star in 16 of his 18 seasons and won 3 MVP awards. Mantle was elected to the Baseball Hall of Fame in 1974. Outfielder - first baseman Frank Robinson of the Baltimore Orioles, like Nap Lajoie before him, won the American League Triple Crown in his first season in the league. Traded by the Cincinnati Reds of the NL to the Orioles after the 1965 season, Robinson was named the 1966 American League MVP as he led the Orioles to the pennant and the World Series title. Robinson played for 5 teams in his 21-year career, beginning with his Rookie of the Year season with the Cincinnati Reds in 1956. He won the MVP award in both leagues, having won the 1961 National League award while with the Reds in addition to his 1966 AL award. He was an All-Star for 6 seasons in each league. With 586 lifetime home runs and 1812 RBIs, he ranks 9th and 20th, respectively. Robinson is the only African-American player to win the Triple Crown, and he became the first African-American manager in Major League Baseball with the Cleveland Indians in 1975. He was elected to the Hall of Fame in 1982. 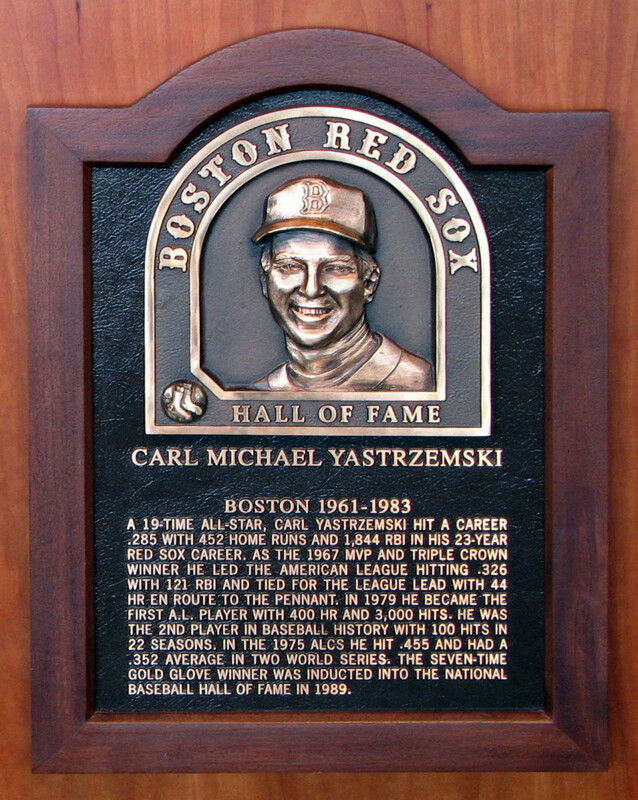 Boston Red Sox left fielder Carl Yastrzemski won the 1967 American League Triple Crown and MVP Award as he helped the Red Sox win the American League pennant. He also led the league in hits and runs scored, and his home run and RBI totals led the major leagues. Yastrzemski played all 23 seasons of his major league career (1961 - 1983) with the Boston Red Sox. He won the American League batting title in 1963 and 1968 in addition to his 1967 Triple Crown season, and was selected to the All-Star team 14 times. Among his career accomplishments are 3419 hits (8th), 5539 total bases (8th), and 1844 RBIs (12th). Yastrzemski was a 19-time All-Star and was elected to the Hall of Fame in 1989. Third baseman Miguel Cabrea of the Detroit Tigers won the American League Triple Crown in his 10th major league season, leading the Tigers as they won the AL Central Division. Cabrera's home run and RBI totals were tops in baseball, and he also led the majors in extra base hits, total bases, and on-base plus slugging percentage. Cabrera played his first 5 seasons with the NL's Florida Marlins before joining the Tigers in 2008. Through 16 MLB seasons he has compiled a .316 lifetime batting average (highest among active players) with 465 home runs and 1635 RBIs. He has been selected to 11 All-Star teams, 4 in the National League and 7 in the AL. In both 2012 and 2013 Cabrera was voted the American League MVP and the Major League Player of the Year. Who, If Anyone, Will Be Next? Miguel Cabrera's achievement in 2012 was all the more historic and exciting because the last previous Triple Crown was won so many years before. Between Carl Yastrzemski's American League Triple Crown in 1967 and Cabrera's AL crown in 2012, 44 seasons passed without a batting Triple Crown winner in either league. The last National League winner was Joe Medwick, way back in 1937. What's more, besides these 14 players, few others have even come close. It is probably unlikely that Cabrera will win again. His production fell off significantly in 2017, at age 34, and his 2018 season ended prematurely due to surgery. Will another current player, or a future star, join the ranks of Triple Crown winners? Two potential candidates may be Christian Yelich in the National League and J.D. Martinez in the American League, who both made strong Triple Crown bids in 2018. In any case, this remains one of the most exclusive and elite clubs in Major League Baseball. Which of the 16 Triple Crown seasons was the most impressive? A note on the poll: The poll was updated on October 4, 2012, to add Miguel Cabrera. Before the update, there had been 25 votes in the poll, with Mickey Mantle's 1956 season in the lead with 24% and Carl Yastrzemski's 1967 season second with 20%. Rogers Hornsby tied Mantle with 24%, but his votes were split between his two Triple Crown seasons. The official website of the National Baseball Hall of Fame and Museum. Includes profiles of each member of the Hall of Fame as well as educational and historical resources. Bringing the History of Baseball to the Web. SABR's mission is to foster the study of baseball past and present, and to provide an outlet for educational, historical and research information about the game. Comprehensive biographical articles about major league players and managers, compiled by the Society for American Baseball Research (SABR). The ongoing project currently includes biographies of 11 of the 14 Triple Crown winners. There is no 2016 Triple Crown winner in either league. Miguel Cabrera finished in the top 10 in each of the three categories, but no one was really close to winning all three. Puts in perspective Cabrera's accomplishment. I knew it had been a long time. Didn't realize it had been that long. Thanks for reading, @tipstoretireearly. It's very difficult to lead the league in all three of Triple Crown batting categories. So few winners in the history of baseball ... yes, Cabrera had a great year, especially since the Tigers won their division too. Cabrera had a terrific year. The fact that he's the first triple crown winner since 1967 makes it even more amazing! Thanks so much, Bill. When I originally wrote this back in February, I certainly didn't think I would need to revise it so soon to add a new member of the "club." But that's what's go great about baseball -- every season brings new surprises. You're right that the 1967 season was an exciting one for Red Sox fans and for baseball in general. As a Mets fan, though, I found 1969 to be more to my liking! @ Cogerson Thanks for alerting me that I didn't open the NL Pitching hub to comments -- I've fixed that. I agree on Peavy ... maybe because he was pitching for San Diego, a relatively low-profile team? Thanks, James. No suspicion of steroids for any of these guys, either! Great Hub! I enjoyed reading the stories of the Triple Corwn Winners. As you say, this may be the peak of baseball achievement. Well done! Yes, I agree that Pujols is the most likely among active players. I'm sure it will never be one of my Mets! Thanks for the comment and vote.